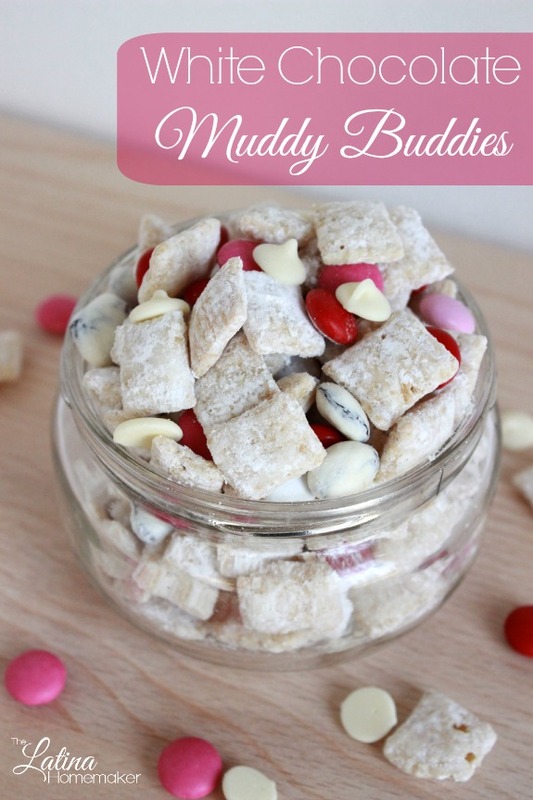 White Chocolate Muddy Buddies-A combination of white chocolate and vanilla frosted rice cereal make up this easy and delicious treat. This weekend I spent the bulk of my time working on financial documents in preparation for tax season. In between all the number crunching, I decided to whip up this super easy and sweet treat for my family. It’s super easy to make and a great way to get your kids to join since it doesn’t require the use of a stove. Melt white chocolate chips (or wafers) and butter in a double boiler or in the microwave which is the method that I prefer. If melting in the microwave, place in a microwave safe bowl and melt in 15-second intervals stirring in between so the chocolate doesn’t burn. Once chocolate is melted, add vanilla and stir. Pour mixture over cereal and mix until cereal is well coated. 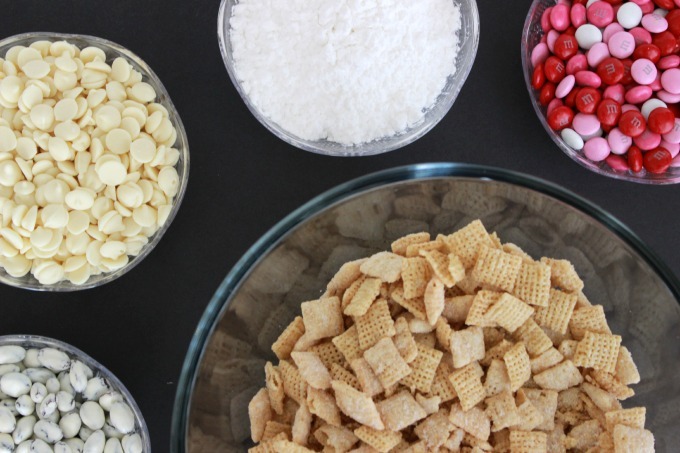 Place cereal in a large resealable bag and add powdered sugar. Shake until cereal is coated. 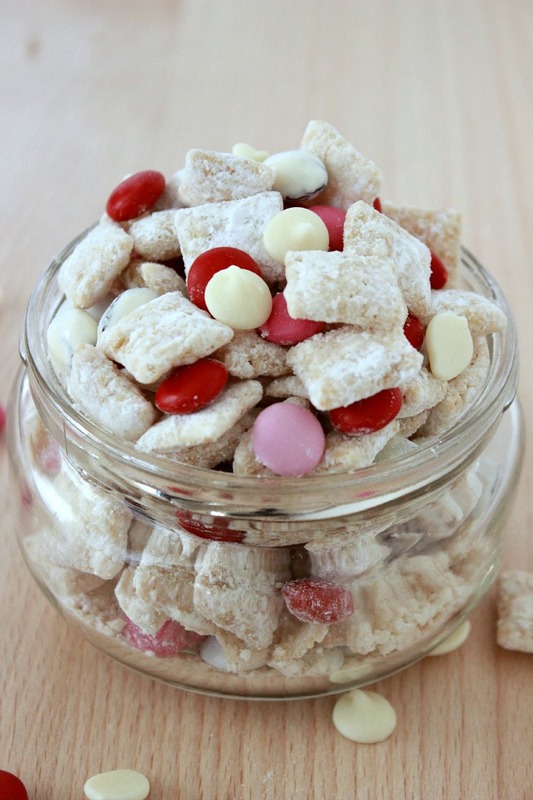 Pour the white chocolate muddy buddies in a bowl and add vanilla yogurt raisins, chocolate candies and chocolate chips. Toss to distribute evenly. Enjoy! 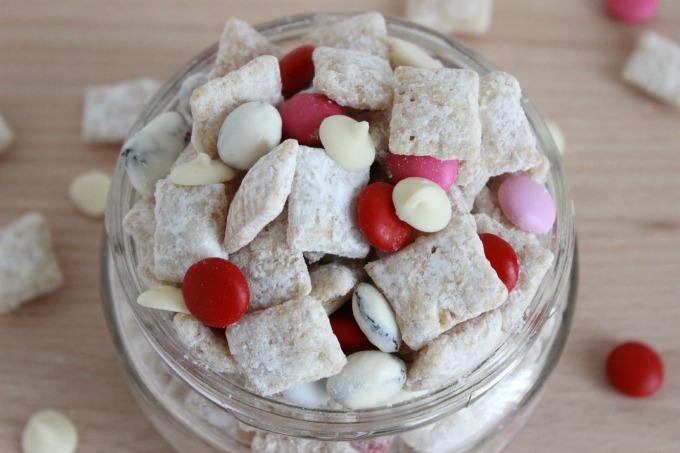 What are some of your favorite easy-to-make treats? I would love it if you shared in the comments section!